This model was originally designed for Gorkamorka, and then became part of Warhammer 40K with Codex Orks. 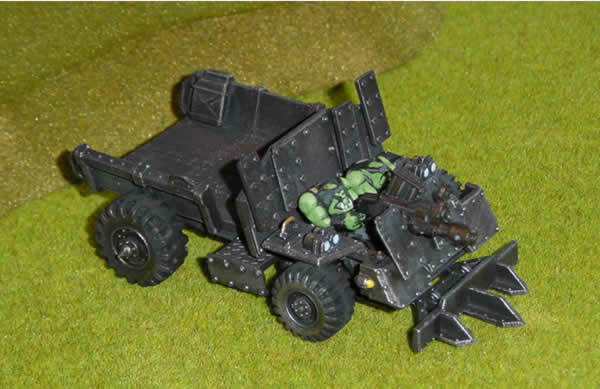 I now have more details of how I made my second Ork Trukk. 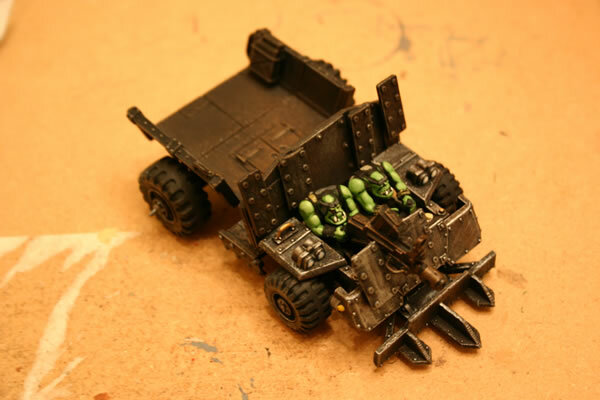 The model was constructed as per the instructions, extra armour was added using the extra armour plates from (what I think are) the old Ork Battlewagon model. A fuel can was added to the cargo bay. 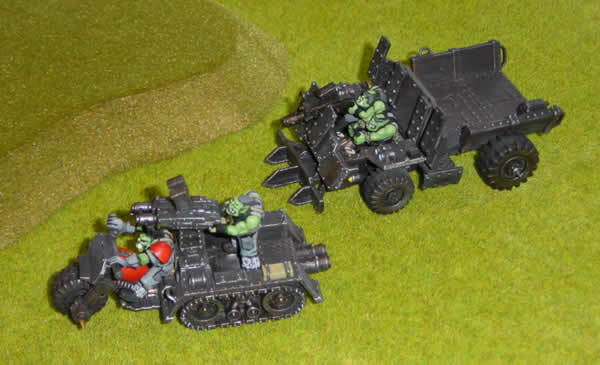 The Trukk model was given an undercoat of black and then the bits that were missed were touched-up with Chaos Black, it was then given a drybrush of tin bitz and chainmail. Instrument panels were painted in Bleached Bone and detailing done with Chaos Black. The lights were done in light blue with highlights in white. The crew (were stuck onto temporary bases) were also given a black undercoat and then do all the metallic bitz with a drybrush of tin bitz and chainmail. There is still some more detailing to do including adding glyphs and icons to the body of the Trukk. 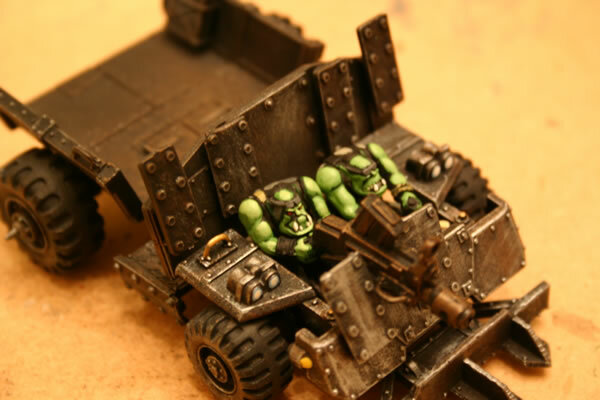 For my next Trukl I intend to follow the same process I used for the Grot Bomb Launcha and have a red body. I am already working on some Grot Riggers.